New & Improved! 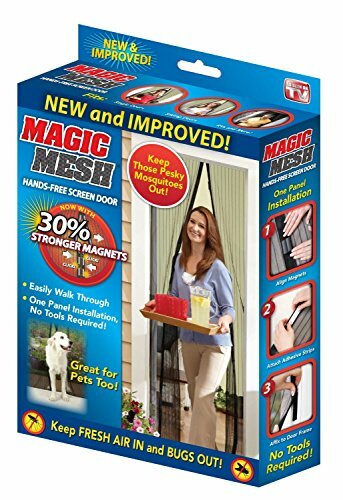 This is the same Magic Mesh magnet screen door youve seen on TV with millions sold and millions of happy customers but now with 30% stronger magnets! A great way to help block mosquitoes. This is the official As Seen ON TV version and the official Amazon seller from the manufacturer. If you have any questions about this product by Allstar Innovations, contact us by completing and submitting the form below. If you are looking for a specif part number, please include it with your message.